As we near Thanksgiving, we wanted to take time and reflect on the year and thank you for your continued support and confidence in ACEI. 2014 has been a significant year for ACEI in that it marks our 20th anniversary. Twenty years ago in April 1994, ACEI opened the doors of its first office on 280 South Beverly Drive in Beverly Hills, CA and began to offer its international credential evaluation services to schools, institutions of higher education, state regulatory boards, federal agencies, and employers of small and large businesses across the USA. In the past 20 years, we have weathered the September 11 attacks and the economic recession that triggered a decline in the number of international students coming to the US. We remained steadfast and true to our mission by not compromising. We have continued to this date to offer a service, unmatched in the industry. We pride ourselves in providing superior talent to deliver high-quality evaluation and translations aligned with your institutions or organizations key objectives. We do so with flexibility and nimbleness that fit your objectives-not ours. Our attention to detail, adherence to standards and best practices, and commitment to provide personal assistance to our international students and institutional and organizational clients are the hallmarks of ACEI’s principles since its inception in 1994. At ACEI, delivering results that exceed your expectations is our top priority. And, to demonstrate our commitment to excellence in client relations, we opened three new mail processing centers, expanded our client relations phone services to 24-hour seven days a week, and began offering customized applications for evaluation to meet the needs of U.S. institutions. Some of the highlights of our achievements in 2014 include the launch of our new user-friendly website http://www.acei-global.org containing instructions and information for the international candidates as well as the U.S. institutions and organizations requiring our services. We even gave our logo a facelift! In addition, we issued several informative guides on international education concerning detecting credential fraud, glossary of educational terminologies, and tips on selecting a credential evaluation service. We continued our research endeavors in the field of international education with our posts in our blog Academic Exchange (40,000 subscribers) and articles in our newsletter The Report: Education News From Around the World. In both our blog and newsletter we explore and share a myriad of topics related to credential evaluation, study abroad, language, education policies, travel, arts, culture and science. As part of our ongoing professional development, we presented at webinars and attended various conferences such as CCID, NAFSA, NAGAP, and NACAC. At this year’s NAFSA national conference in San Diego we hosted a reception and celebrated our 20th anniversary with several of our friends from various US and overseas institutions. Over the years, we have remained dedicated to developing our team, strengthening our capabilities, and building trusting relationships with you. We are excited for the future and the opportunity to continue working with you in these areas to exceed your expectations. 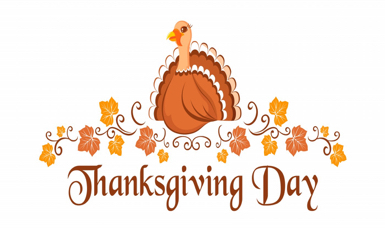 On behalf of the ACEI family, we thank you and wish you a Happy Thanksgiving and Holiday season. There is an epidemic and it is sweeping across continents, again. I’m not speaking of an infectious disease that is rapidly spreading and infecting a large swath of the population. I am speaking of a different kind of an epidemic that has happened before and is happening again. It’s target: school textbooks. Recently in Russia, a purge has started where hundreds of textbooks that for many years have been used by the schoolchildren and their teachers at the country’s 43,000 schools have been scrapped and deemed unsuitable. The reasons given have been a series of bureaucratic nitpicking mixed with accusations of unpatriotic content. Not only has this rash ban on textbooks by the Ministry of Education and Science upset curriculum and lesson plans, angered principals, teachers and parents, but is also threatening the livelihood of the small publishers for the textbook market. The purge, however, appears to have cleared the way for Enlightenment–a publishing house that used to be the sole provider of school textbooks during the Soviet era–whose CEO is a close friend of Mr. Putin, Russia’s President. To get an idea of how Enlightenment, ended up in such a cushy position, please read the article by Jo Becker and Steven Lee Myers in the New York Times. Now that the power of textbook publishing rests in the hands of a publisher with ties to the former Soviet era and the country’s current ruling powers, one is apt to expect that the content of history textbooks will soon be revised to meet the political views of those in charge today. Next, we head over to China, where education officials are thinking of changing elementary and middle school textbooks to include more subjects on Chinese philosophy and literature in an effort to emphasize China’s cultural heritage. If the Ministry of Education approves these changes, they would go into effect next September in time for the new school year. What is unclear is if these changes are approved which components of the existing curricula will be dropped to make room for the new subjects? Are there any qualified teachers in China who are available to teach the traditional Chinese language and literature? The young teachers today were educated under the influence of Chinese Communism. Most of the experienced teachers with knowledge of these traditional subjects are long gone. How will these subjects be taught in today’s modern China? Moving on to Japan and South Korea, we see their respective Prime Minister and President, each pushing to have high school history textbooks rewritten to reflect their political views. The Japanese Prime Minister, Shinzo Abe has instructed the country’s Ministry of Education to revise the textbooks so that they are more patriotic and no longer include Japan’s atrocities during WWII. The South Korean, President, Ms. Park Geun-hye, wishes to downplay and do away with Korea’s history of collaboration with the Japanese colonial authorities and have the textbooks rewritten so that Koreans are seen as having been coerced into collaboration rather than having done so willingly. Much of this push has to do with the fact that a majority of South Korea’s professionals and elite members of the civil service come from families that did in fact collaborate with the Japanese colonizers. And, right here in the USA, we recently heard news of students and teachers in Jefferson County, Colorado, protesting a controversial conservative plan to change the AP U.S. History curriculum to stress more positive elements and “promote patriotism and avoid encouragement of civil disorder, social strife or disregard of the law.” The students, their parents and teachers opposing the proposed changes see them as censorship and an attempt by the conservative board to rewrite history in accordance to its own political views. There’s nothing more challenging to me than waking to the sound of an alarm at 4:30 AM to catch a 6:40 AM flight. At least the flight from LAX to Portland, OR was short and except for having an infamous celebrity, Kanye West, on board as our travel companion, uneventful. Our Assistant Director, Yolinisse Moreno and I arrived in Portland to overcast skies and cool weather. Clouds were threatening rain which for us drought-stricken Californians would have been a welcome reception, but there was no deluge or even a droplet, even here in Portland as we explored the Pearl District. With our booth set up in the Exhibit Hall, Yolinisse and I managed to hop on the tram from the Waterfront to drop in at the famous Powell’s Books, one of the few remaining in the country, and scratched the surface of this prolific bookstore bursting with hundreds of thousands of books stacked and showcased in the endless rows that lined each floor of this historic store. We also enjoyed a couple of Portland’s eateries, like The Garden Bar Salad Co., a wonderful farm-to-table restaurant specializing in salads, and the Cacao Drink Chocolate, a gourmet chocolatier where we each sipped delicious cups of dark hot chocolates. On our tram ride back to our hotel, we enjoyed a quick tour of the campus of Portland State University resplendent in the gorgeous colors of the season. The opening day at the conference brought a number of conference attendees to the exhibit hall and to our booth. It is always wonderful seeing colleagues from the colleges and universities to whom we provide assistance with evaluations of international academic credentials. The conference sessions covering relevant and hot topics on recruitment strategies, credential evaluation, regulations on student visa policies and exchange programs ensured that all interest groups needs were equally met. Some meeting rooms were full beyond capacity and attendees with standing room only. We didn’t get the opportunity to visit Portland’s famous donut shop, “Voodoo,” but to everyone’s delight the sugary treats made a grand appearance at the exhibit hall in time for the afternoon coffee break. And, since we’re in the State of Oregon, its worthy noting that seven public universities make up the Oregon University System, and seventeen community colleges are operated by locally elected boards. There are also numerous private degree-granting institutions. The oldest college in Oregon is Willamette University, which was established 1842, and is the oldest university in the Western United States. The oldest community college is Southwestern Oregon Community College which was established in 1959. We had a number of people who participated in our drawings and the winner of our Kindle Fire was Melissa Lyons, from Golden West College in Huntington Beach, CA. We wrapped up the conference by attending the private dinner hosted by our gracious and generous host, Sharif Ossayran, President of Asencion where we dined on a delicious three-course meal at the Andino, a Nuovo-Peruvian restaurant and reconnected with friends from Santa Barbara City College, Ventura County Community College, University of Nevada, Las Vegas and Azusa Pacific University. The number of attendees which reached a record breaking 869 for a regional conference with 70 exhibitors is indicative of an economy that is recovering and the growing desire to expand U.S. higher education’s international appeal. We thank the NAFSA Region I & XII Conference Committee Team, an entirely volunteer effort, in helping organize yet another successful and memorable trip. We look forward to attending NAFSA Region XII’s conference next year in Hawaii. Aloha!